"The Wolves are getting closer, she is a fool for thinking she can control them." The House of Wolves were a House of the Fallen. They were the subject of an expansion of the same name. Prior to arriving in the Solar System, the House of Wolves, then called 'Mraskilaasan', was one of many Fallen Houses struggling to survive in the wake of a cataclysmic event known as The Whirlwind. In the aftermath of the fall, the Wolves were said to have warred with the House of Kings. Years later, after arriving into the Sol system, the Wolves were living out by the Jovians. 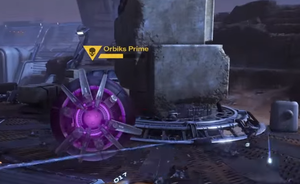 At some point, their Prime Servitor Kaliks Prime went missing. Fikrul, the Fanatic was once a well-regarded Archon Priest of Kaliks, but he was cast out after speaking against the Great Machine and lamenting his species' dependence on Servitors for survival. As part of a united Fallen effort, the Wolves intended to join the Battle of Twilight Gap alongside the other Houses, but were stopped at their stronghold of Ceres when the Reef intervened. Their Kell, Virixas was killed in the initial clash, along with a massive portion of the house, which would later be called The Scatter. This marked the start of a power struggle between three members of the Wolf nobility: Irxis, Wolf Baroness; Parixas, the Howling; and Skolas, the Rabid. "The Silent Fang? Yes. Yes, I remember them. The Fang made a number of attacks against the City during the days of the Reef Wars. They’d take to terror tactics, slipping invisibly through with cargo and going on a rampage in a crowded residential area." The Reef Wars were a series of long battles between the Wolves and The Reef. During the course of the wars, Skolas rose to the Kellship, beating out his competitors. He then turned his full attention towards The Reef, and the two forces clashed for many years. The wars ended when Variks, a member of the House of Judgment who lived among the Wolves, betrayed Skolas to the Reef resulting in his capture along with most of his House. Variks went on to crown The Queen of The Reef as the new Kell, with many Wolves bending the knee to her. "Listen to me, Wolf-born! Heed me, Whirlwind-scattered! I am the ghost of Cybele, the cunning claw of Iris, betrayed, chained, encrypted by the Queen, sent back from the Darkness to save us all! The days of Kell and House end now. The calendar of slavery and abasement goes to the fire. We are a new calendar! We are an age of beginnings! Each of us is a day!" Initiated by the return of Skolas, now calling himself the Kell of Kells, the House of Wolves rebelled against the Awoken. The Wolf Rebellion started with an assassination attempt on The Queen and a mass prison break from the Prison of Elders where most of the former Wolf nobility was being held.The Queen opened the Reef to Guardians of the City, with the intent of recruiting them to put an end to the rebellion. The Guardians tracked Skolas across the system, eventually capturing him on Venus, attempting to wield stolen Vex tech in order to pull the House of Wolves through time. On the order of the Queen, Skolas was sent to the Prison of Elders, where he was pitted against the same Guardians who captured him and was executed, effectively ended the Wolf Rebellion. "Was looking, searching for new Wolf Kell. Could not find one. Could not understand House Wolves tactics... bad tactics. Fight Cabal? (laughs) Could not find new Kell because there is no Kell. House Wolves follows a new god, a Servitor, a Prime. This is a pilgrimage, Guardian. And for faith, they will stop at nothing." After Skolas' defeat, the Wolves began regrouping on Mars, hoping to carve out a new den on a planet of their own. The Wolves emerged from hiding, rallying under Keldar, Archon Priest who had escaped the Reef Wars and Skolas' Rebellion. Keldar offered the Wolves a new god to worship, the rebuilt Orbiks Prime; the Wolves' previous god, to lead their scattered House in the absence of a new Kell. In the wake of losses suffered at the hands of the Taken during The Taken War, the Cabal were unable to stop the Wolves from entrenching themselves in their own fortifications; the Blind Legion's former base was captured for use as Orbiks Prime's lair. Orbiks Prime attempted to reassemble the House on Mars, however, thanks to intel provided by Variks, the Loyal, the Guardians hunted down Keldar and Orbiks, destroying the Prime Servitor and killing their Archon, leaving the Wolves broken and leaderless. Leading to Variks to believe that the House of Wolves had been broken once and for all. "Fallen comms, still trying to reach their brothers and sisters. Some of these headers are still marked with House sigils. House of Devils, House of Wolves…"
Having been nearly wiped out by the deaths of their leaders and lieutenants from subsequent Guardian hunts, the House of Wolves were driven to the brink. 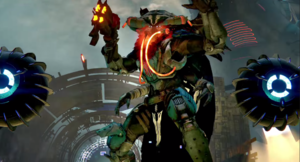 They met their end when the terrifying Scorn Baron known as Reksis Vahn, the Hangman subsequently hunted down and destroyed their last remaining Servitors, dooming and wiping the formerly great House of Wolves off the map once and for all. With their demise, former Wolves members assimilated into the House of Dusk including Skriviks, the Sharp-Eyed, The Silent Fang, Queenbreakers, Pallas Seigebreakers and those afilliated with Beltrik and Ixris. "Fallen Houses must hunt, prowl, scavenge, defend. House Devils has Earth. House Winter has Venus. And now Wolves claim Mars. Cabal will not be pleased." The Wolves appear to have a more complex structure than compared the other houses. While they retain the typical leadership of a Kell, an Archon, and a Prime Servitor (though the latter two are dead or missing) followed by Barons and other nobility, the Wolves have several additional posts and groups with special functions within the House. Kells are served by Wolves' Guards, Captains who are selected from an early age and brainwashed to be completely subservient to the Kell. The Kell also has the Silent Fang at their command, an elite group of assassins, to eliminate potential rivals and threats. To keep the rank-and-file in line, fanatical Wolf Enforcers ensure that the remaining Fallen of the House maintain their loyalty. 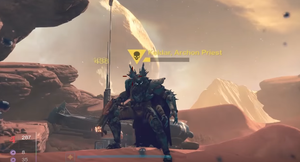 Several other informal groups serve the Kell, such as the Howling Raiders, the Twisted Claw, and the Queenbreakers (the Wolves who formerly served as Mara Sov's personal bodyguards, but then attempted to assassinate her). 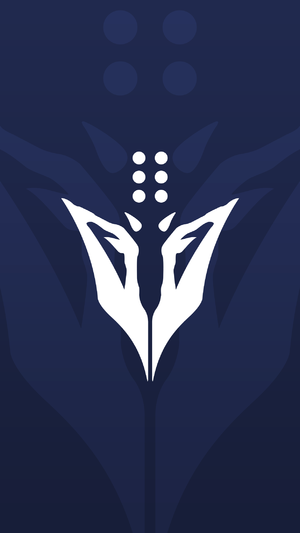 The House of Wolves is the second Fallen House Guardians have seen go extinct. The first being the House of Winter.